With an increasing number of electrical gadgets and appliances, combined with increasing energy rates, it is more essential now to take control of your energy usage than ever before. The prepaid energy plan is one of the most significant ways to reduce your energy consumption. The prepaid energy plan is a type of consumer-driven energy plan that allows consumers to pay in advance for the amount of energy they are using. Prepaid energy plans have become popular in Texas since the deregulation of the energy market. Previously, all energy suppliers needed to cover all expenses such as maintenance cost of power generation plants, poles, wires, and delivery systems. Deregulation allowed energy providers to share these overhead costs and allowed them to provide more flexible prepaid energy plans. 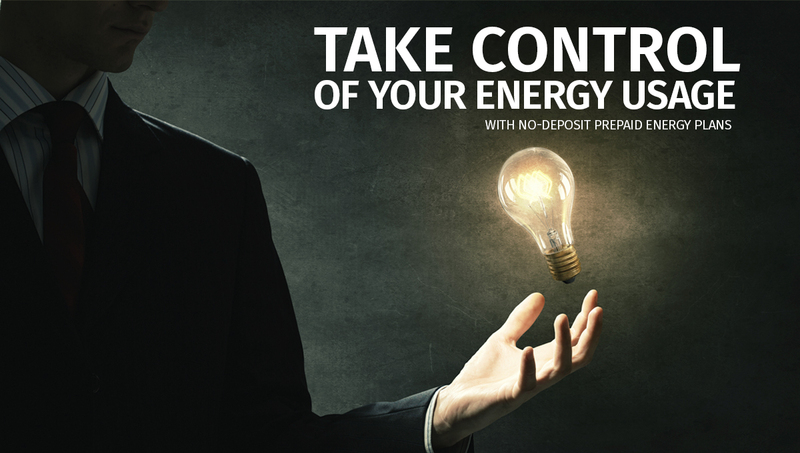 Take control of your energy usage with a no-deposit prepaid energy plan. To get connection, you only need to have a prepaid energy meter (Smart Meter). One of the most significant features of prepaid energy is the ability to know your usage of energy and the current balance of your account through text, email, an online portal, or even a mobile app. Daily balance updates help you manage your energy usage efficiently. Smart meters also helps you find out which appliances are using more energy and raising costs. The prepaid energy plan prevents the chances of getting an unexpected or excessively high monthly energy bill. When you get a chance to track your energy usage, you can effectively manage your energy consumption. It helps you find out when you are using energy and what appliances are consuming the most of it. Daily updates of your energy account can easily control your energy consumption when you are in a financial instability. If you have a better understanding of how much you are spending on energy, it helps you set a weekly or monthly affordable budget target. To stay within the budget, implement simple steps to take control of your energy usage. Switch off appliances when you are not using them. The standby mode of appliances wastes an average of $40 per year. Washing clothes at 30 degrees reduces a good amount of energy consumption per year. The use of hot water may cause fading and may damage clothes. The proper insulation of your home’s ceiling helps reduce a good amount of energy consumption. It keeps your home at an appropriate temperature throughout the seasons. Inefficient insulation may cause air leakage, consuming more energy to heat or cool your home. Acacia Energy, a Texas-based energy company with over 30 years of combined experience in providing energy, offers prepaid energy plans with no-deposit. We provide competitive energy rates and flexible payment options with no credit check, no long term contract, and no deposit. Smart Meters allow Acacia Energy to offer a valuable prepaid energy service across Texas. They provide updates of your energy usage every 15-minute. This helps Texas residents to obtain energy quickly and affordably.